Broker Christoper Bice (CRD#: 3222439) is a currently-registered broker employed by SagePoint Financial, Inc (CRD#: 133763) of Greensboro, NC. He has been in the industry since 1999. Silver Law Group filed a claim against Arete Wealth Management, LLC alleging Arete’s broker recommended numerous unsuitable non-traded REITs and leveraged ETNs and ETFs to our elderly client. 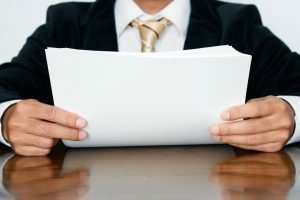 According to the FINRA arbitration complaint, the elderly Claimant entrusted the entirety of her retirement portfolio to Arete Wealth Management and its broker. The broker proceeded to recommend the senior Claimant invest approximately half a million dollars in various illiquid, non-traded REITs. Among other non-traded REITs, the Arete Wealth Management broker recommended the Claimant invest in American Finance Trust, Hospitality Investors Trust, benefit Partners Realty Trust, and FS Energy and Power Fund, according to the FINRA arbitration complaint. 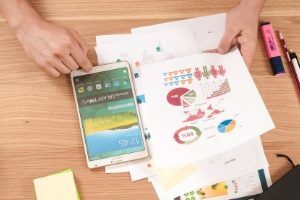 In addition to Arete Wealth Management’s unsuitable recommendations to invest in non-traded REITs, the Arete Wealth Management broker also invested the elderly Claimant’s brokerage account in risky investments such as leveraged ETFs and ETNs, according to the securities arbitration claim. These leveraged ETFs and ETNs are typically meant to be held for no more than one day. The FINRA arbitration complaint alleges the Arete Wealth Management broker held them for far longer than one day – in some cases months. 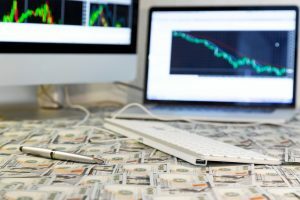 Claimant, according to the securities arbitration claim, lost a significant amount of money in her Arete Wealth Management brokerage accounts. Michael Patrick Nixon (CRD #216931) is a registered broker and investment advisor currently employed with Paulson Investment Company LLC (CRD #5670) of Tampa, Florida. His previous employers include Newport Coast Securities, Inc. (CRD #16944) and Meyers Associates, L.P. (CRD #34171), both of Leesburg, VA. Six of his previous employers have been expelled by FINRA, including Newport and Meyers. He has been in the industry since 1991. Nixon has a total of four disclosures in his record, the most recent a customer dispute filed on 7/9/2018. The claimants allege that from 2013 to 2018, Nixon violated both the Florida Securities Act and the Virginia Securities Act. 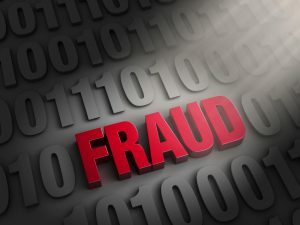 They also allege that he committed common law and securities fraud and breached his fiduciary duty, and completely misrepresented multiple unsuitable securities and investments. Additional allegations include failure to supervise on the part of the firm (Paulson Investment.) Claimants are requesting damages in the amount of $3,000,000. The case is currently pending. His previous customer dispute was filed on 10/9/1998, which included allegations of “misrepresentation and deceit” in relation to a stock liquidation to meet a margin call. 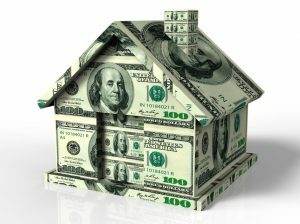 The client requested damages of $9,000, and was granted damages of $2,006.95. Nixon denied the allegations. Liberty Partners Financial Services, LLC (CRD #130390) of Mount Pleasant, SC, and Milestone Financial Services, Inc. (CRD #43295) of Bohemia, NY. His first employer, Seaboard Securities, Inc. (CRD #755) of Florham Park, NJ, was expelled by FINRA in 2011. He has been in the industry since 1998. Wyczawski has a total of three disclosures, all customer disputes. The most recent was filed on 7/18/2018, alleging “fraud; negligent misrepresentation; breach of fiduciary duty and breach of the covenants of good faith and fair dealing; negligent supervision; breach of conduct; Section 20 violations.” This customer is requesting damages in the amount of $100,000.00. In August, we told you about former broker Sean Brady (CRD #4365173) who was recently barred by FINRA and discharged by his employer, First Allied Securities, Inc. (CRD #32444) of St. Louis, MO. Since our last report, eight more customer disputes were recently filed against Brady, between 6/28/2018 and 07/03/2018. All these cases are pending, and the total of requested damages is an eye-watering $12,575,730.49. Jackie Divono Wadsworth (CRD #2342163) is a former registered broker and currently registered investment advisor whose last employer was IMS SECURITIES, INC. (CRD #35567) of Houston, TX. She worked for IMS since 1994, and the firm was expelled by FINRA on 9/04/2018. Previously, she worked for Retirement Investment Group (CRD #7421), also of Houston. She has been in the industry since 1993. In 2017, Wadsworth was involved in a customer dispute involving multiple claimants while at IMS Securities. In it, the claimants alleged that “a non-party under the supervision of Respondents induced Claimants to invest in unsuitable, high-risk, illiquid investments, including United Mortgage Trust (“UMT”), United Development Funding II (“UDF II”), and United Development Funding III (“UDF III”).” These allegations also included “aiding and abetting fraud, aiding and abetting breach of fiduciary duty, civil conspiracy, civil RICO, civil RICO conspiracy, and negligent supervision.” Filed on 6/7/2017, the arbitration was completed on 11/8/2018, awarding a total of $963,836.00 to the claimants. Following this award, Wadsworth failed to respond to an information request from FINRA, causing a suspension on 8/3/2018. She did not request her suspension to be terminated, and is now barred from any association in any capacity with any FINRA member. Robert Abramowitz (CRD #4437589) is a currently registered broker and investment advisor employed with National Securities Corporation (CRD #7569) of Melville, NY. Previous employers include Oppenheimer & Co. Inc. (CRD #249) of Jericho, NY, Raymond James Financial Services, Inc. (CRD #6694) of Garden City, NY, and Wells Fargo Advisors, LLC (CRD #19616) of Great Neck, NY. He has been in the industry since 2001. Abramowitz has three disclosures in his record, all customer disputes. 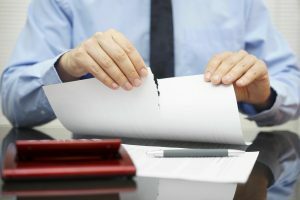 The most recent, on 7/30/2018, alleges “breach of contract, negligence, unsuitability, breach of fiduciary duty.” The client is requesting damages of $100,000. No additional information is available. 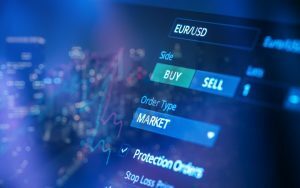 A previous customer dispute was filed on 3/28/2018, alleging that from 7/26/2011 – 4/11/2016, her investment objectives and risk tolerance were incorrectly state on her new account documentation. 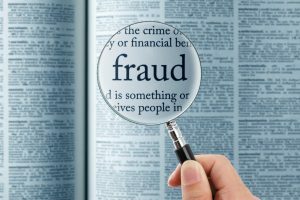 Additionally, the client alleged that her investments were unsuitable and were “misrepresented to her.” The client requested damages of $149,236.86, and the firm settled for $75,000. Silver Law Group and The Law Firm of David R. Chase have filed their second FINRA arbitration claim against Independent Financial Group alleging its broker recommended the services of an individual who was running a Ponzi scheme. According to the securities arbitration complaint, the Claimant’s elderly father became a client of Independent Financial Group and its broker, Jon Pariser (CRD# 2755015), after meeting him at a gathering hosted by a fraternal order both were affiliated with. In or around June 2017, Pariser informed the Claimant that he was retiring. Pariser then allegedly recommended to Claimant Christopher A. Parris, an individual who had been unlicensed for over a decade, as a trustworthy and skilled professional. According to the Statement of Claim, this fact was not disclosed by either Pariser or Independent Financial Group.